When travelling to Africa, it is hard to stay abreast of all the rules, regulations, changes, updates that just keep on coming. I suppose it is to be expected from what is still a relatively young industry. Here you will find interesting and often important travel information and advisories relating to the regions in Africa that we promote. You can also use the handy search box below to search for information on a particular destination. ​We would like to bring to your attention that the Tanzanian Government has given notice to change the way concession fees is calculated from a percentage to a fixed dollar amount that lodges and permanent camps located within Tanzania’s National Parks pay each night per guest to the government. Invariably this will lead to an increase of accommodation rates. Seasonal mobile camps are unaffected as they have always been paying a fixed amount. The parks to be affected by this potential increase in levy are Tarangire, Lake Manyara, Serengeti, Gombe, Mahale, Katavi, Ruaha, Mikumi, Kilimanjaro, Arusha, Saadani, Rubondo, Mkomazi, Udzungwa. Ngorongoro Conservation Area and Selous Game Reserve are not considered national parks and are not affected by this. Camps and lodges outside of parks (Lake Manyara Serena, for example) are also not affected. This new rate would take effect from 01 July 2017 and the changes will affect all bookings (including those who have already paid for their safaris). At this time, it is still unclear as to the exact amount this increase will be as lodges are still calculating and working on new contract rates . We are closely monitoring this situation, and being hopeful some of our suppliers will consider waiving the increase, at least for bookings already paid for or with a cutoff date for guests to pay to benefit from any possibility of such waivers. As soon as we have a clear interpretation of this from the relevant lodges and camps, we will advise on the applicable supplements for the affected Tanzania Safaris/bookings. Only as an indication, the increases are expected to be between $25 and $45 per person per night. ​There are going to be changes in permit pricing in Uganda, from 2018. If you have bookings in the pipeline, please let your guests know that the prices are LIKELY TO CHANGE. Until such time that the new fees are finalised, we are NOT ABLE TO BOOK PERMITS. The booking system is 'on hold' until UWA announce otherwise. At this point, we do not know their intentions on the pricing. Uganda review prices every two years, so this change is due for 2018. Park fees and other UWA activities may ALSO be affected, but we will keep you posted. · The objective of the Levy is to raise funds for conservation and national tourism development in order to support the growth of the industry and broaden the tourism base, resultant improving the lives of the people of Botswana. · Payments are done at the ports of entry through electronic payment machines through cash (US Dollars), debit and credit card. After the payment, a unique receipt corresponding to the passport will be automatically generated. The receipt should then be presented to Immigration Officials. The passport and the receipt will be stamped and handed back to the traveller. The receipt will valid for a 30 day period and can be used for multiple entry. · Travellers to Botswana will pay USD30.00. · The Botswana Government remains committed to growing the contribution of tourism to the national economy as well as economic diversification and employment creation. ​We are sorry to have to announce that in the wake of last week’s Government announcement, tourism services will no longer be VAT exempt in Tanzania, effective 1st July 2016. We are gravely aware of the disruption that unexpected changes to taxation cause our trade partners. We would like to reassure you of our commitment to mitigate the impact of these changes. We recognize the implausibility of requested fee adjustments being completed by the end of June. To that end we have targeted the 31st July in order to make the most suitable arrangement for all parties. Our current position is to help you navigate the situation as best as we can. Services that were previously exempt, and are now subject to 18% VAT include; park fees, camping and concession fees, activities incl. walks & game drives. Separately, the Ngorongoro Conservation Area Authority announced last weekend an increase in entry and camping fees. These too will come into effect from July 1st 2016 with VAT at 18%. Some important changes to the visa application process to Kenya will go in effect affect on September 1, 2015. The visitors traveling to Kenya, who were previously eligible to purchase a visa on arrival, will now be required to purchase a visa online in advance of travel. The passengers will be asked to produce a printed copy of the E-Visa upon check-in. If they do not have the required visa, they will not be permitted to travel. Travel agents or tour operators will be able to register and make visa applications on their clients' behalf. Visitors should therefore ensure the visa will still be valid at the time of travel. Airports Company South Africa and airlines started rolling out a campaign from February 2 at all SA airports to enforce hand luggage regulations. The Zimbabwean government announced on January 19, 2015 that it would start levying VAT on tourism with immediate effect. The tax applies to payments for accommodation by foreign visitors to Zimbabwe. The new Statutory Instrument was gazetted late on Friday, January 16, and publicly announced on Monday. 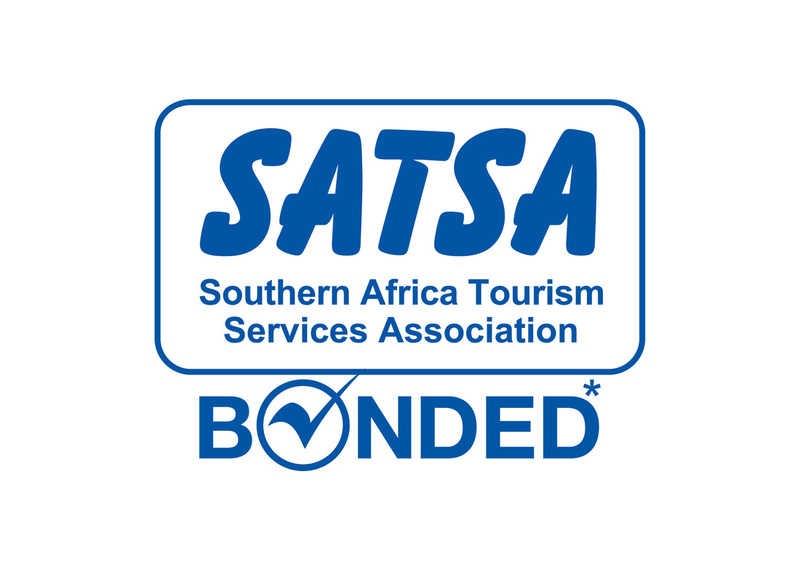 Tourism Update reported on Tuesday morning that VAT had not been passed, but it was passed subsequently and is now in effect. All bookings made prior to the announcement are to be kept at the old rate.